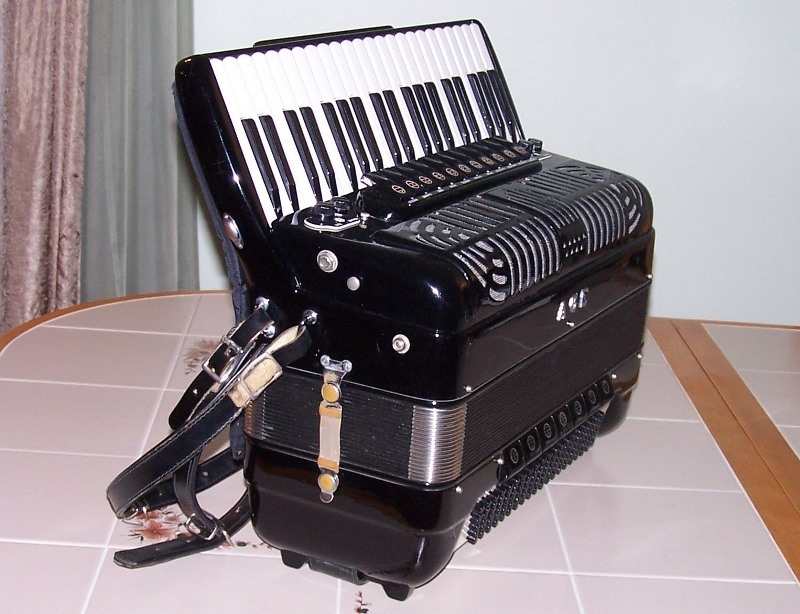 This beautiful accordion was made in Italy by Victoria for the ACE company. 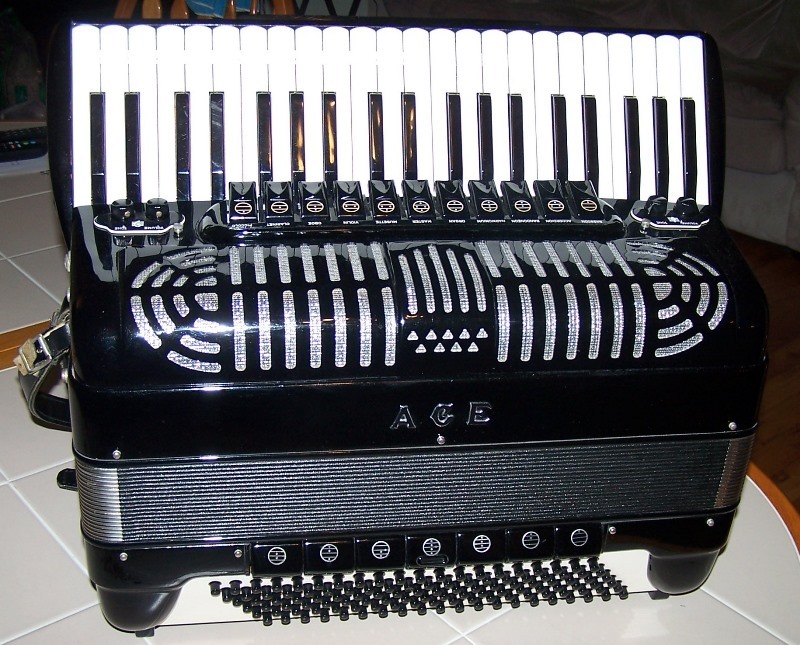 The founders of the ACE were Aldo Mencaccini (later founded BELL Accordions), Charles Nunzio, and Emil Baldoni. 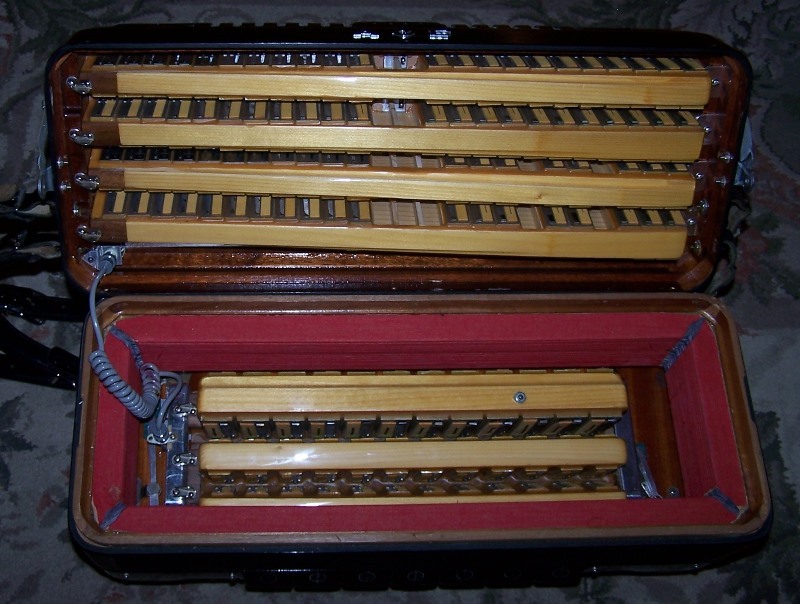 This instrument is virtually identical to the Titano Cosmopolitan model made at the same time. 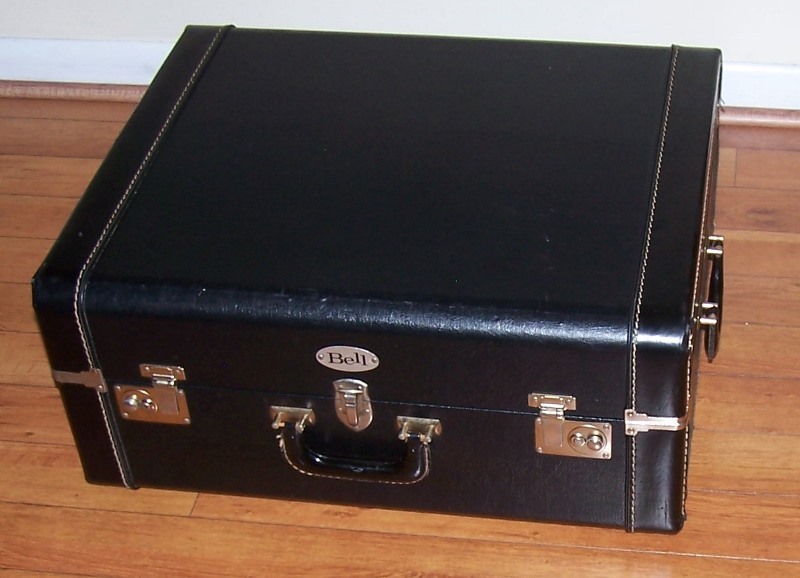 The Cosmopolitan was the top of the line non-chambered professional model. 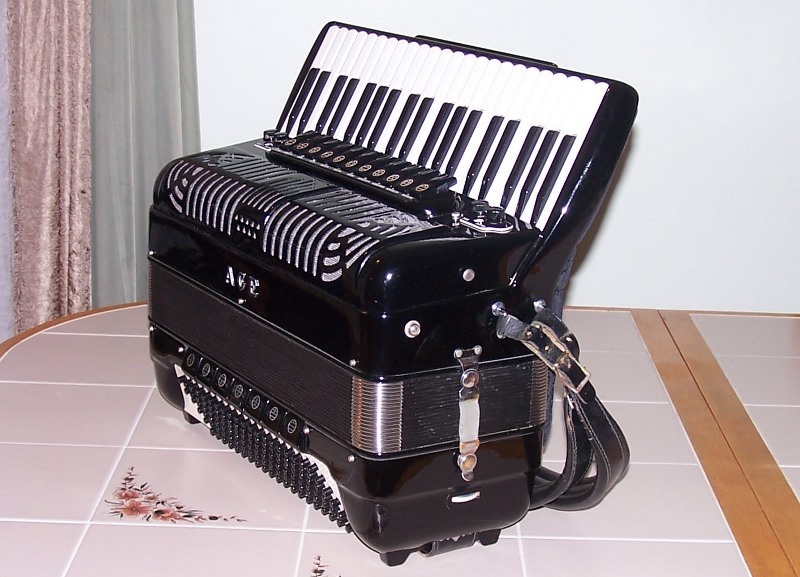 This particular ACE accordion has fabulous reeds with fantastic response and harmonic richness. 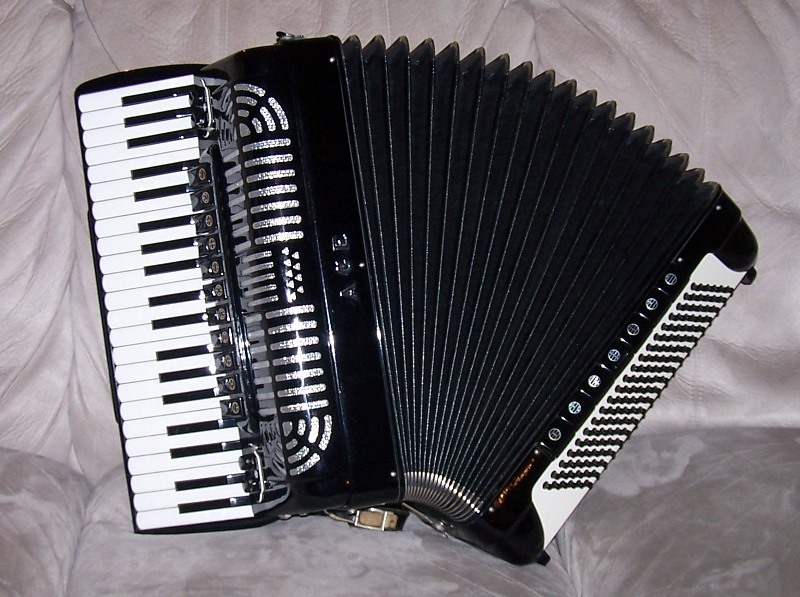 The accordion has a solid mechanics with very good keyboard and bass machine action. I love its overall fell - great compression and efficiency, easy to handle, and a pleasure to use for hours without fatigue. 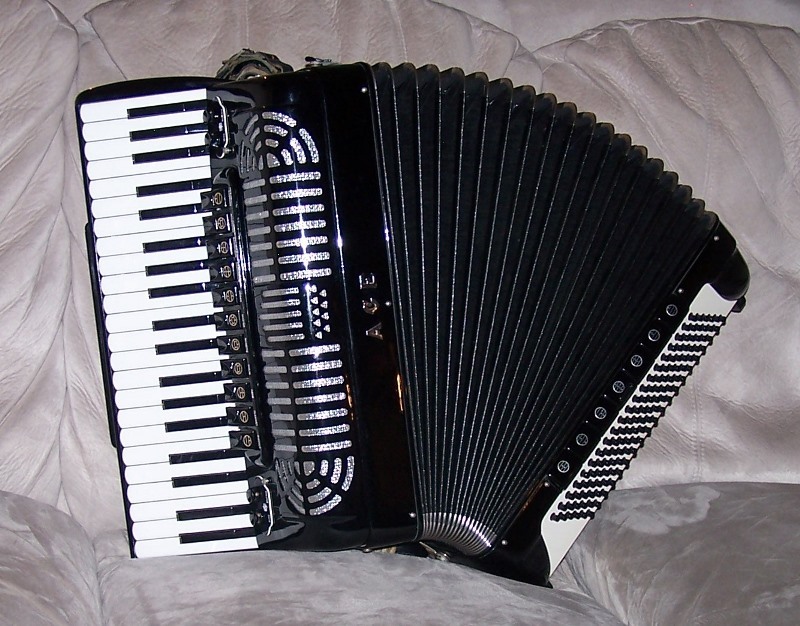 This is one of these accordions built so well and with such a nice tone that you will not miss the tone chamber. The sound is clear, vibrant, and full of overtones. If you have played Catraro/Baldelli/Guidobaldi reeds you know what to expect. 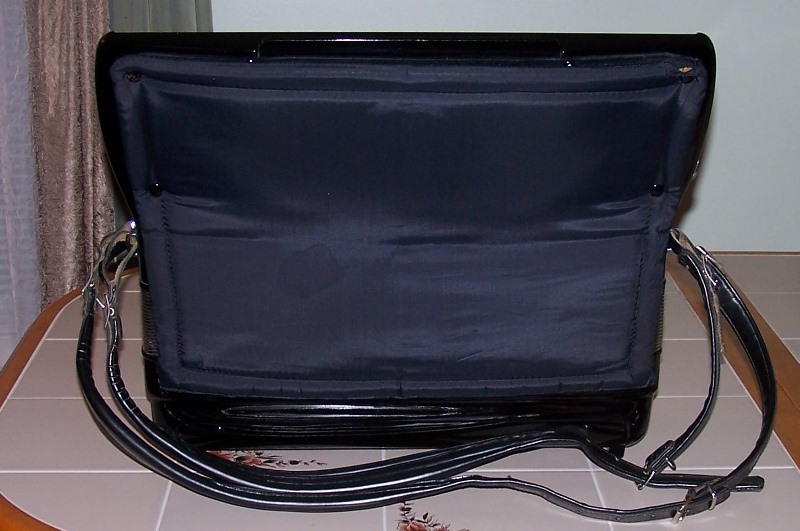 The accordion is clean. The overall cosmetic condition is very good. The compression is excellent. The reeds are fabulous. 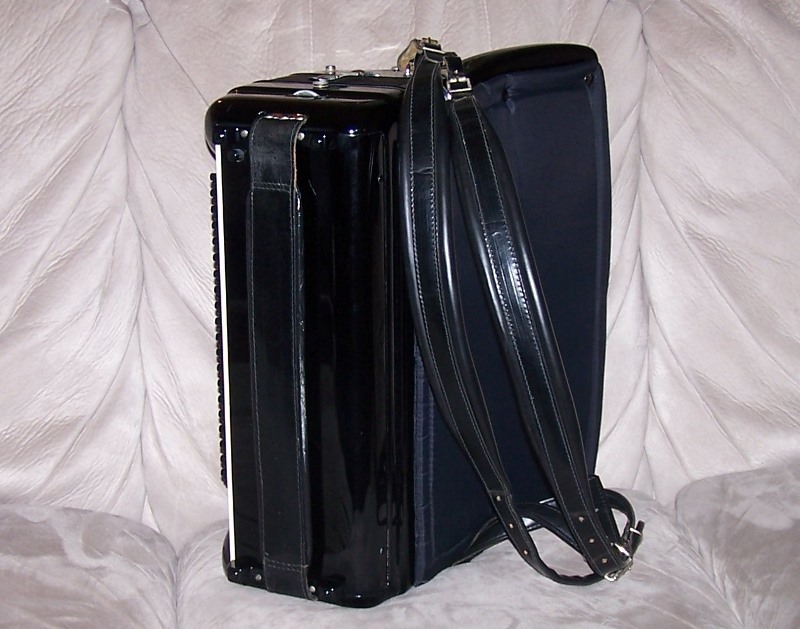 The accordion is light and well balanced and will be perfect for a dynamic and expressive performance. 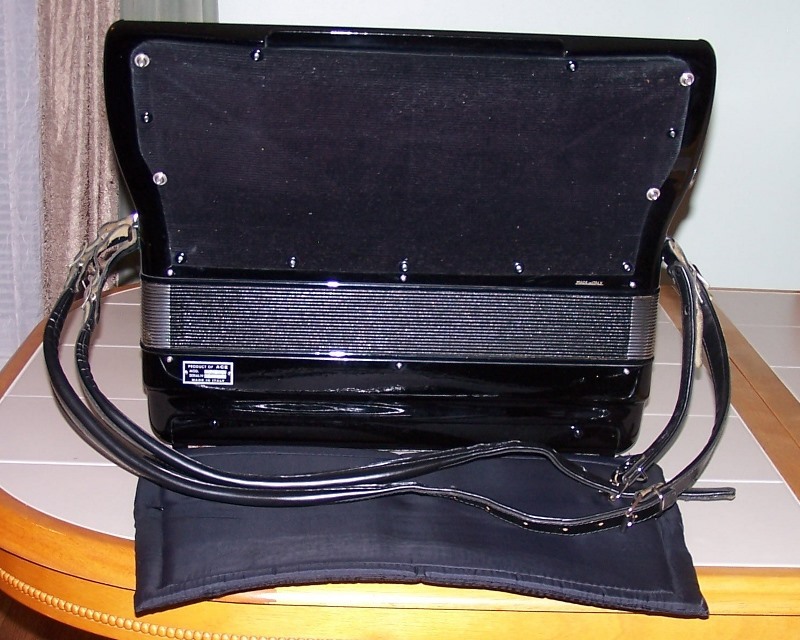 The instrument has been professionally serviced and is offered with one year warranty. 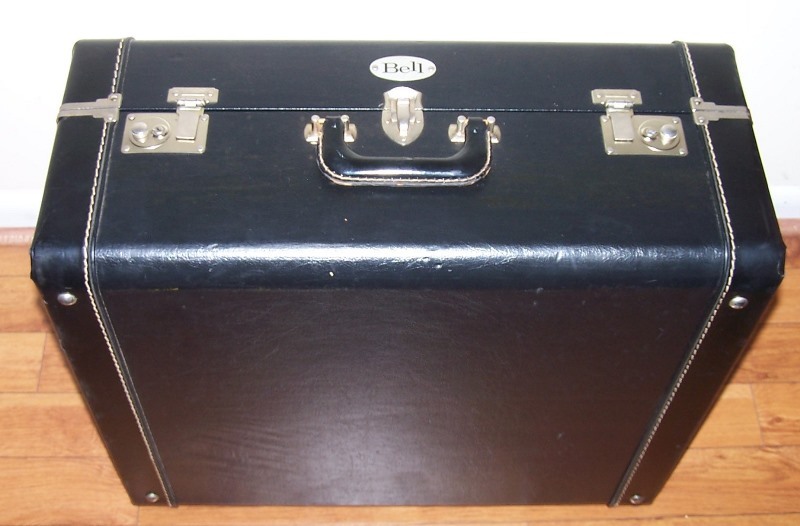 Made in Italy, Serial Number A597. 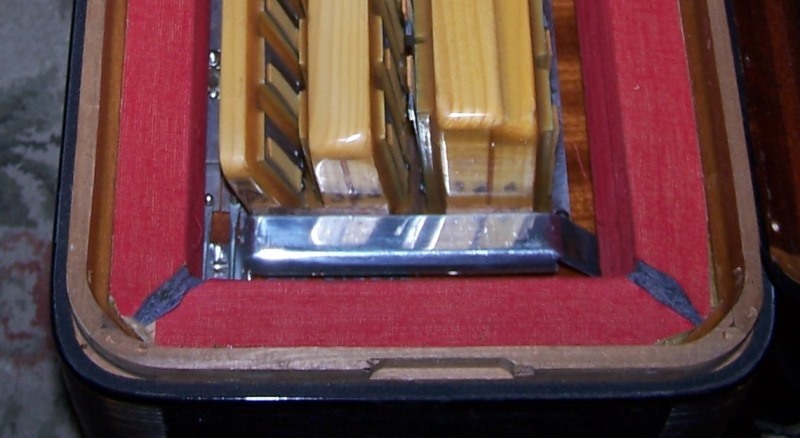 Shared base of the middle and high harmony reed blocks for enhanced resonances - this feature was invented at the Scandalli factory when the Super Vi model was designed and can be found only on the Super VI and some high-end Titano models. 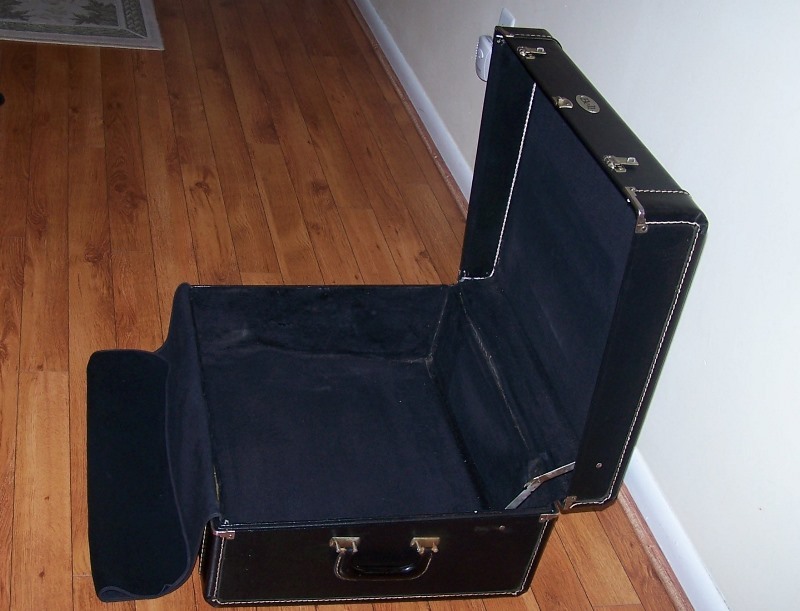 You've got to play this accordion! 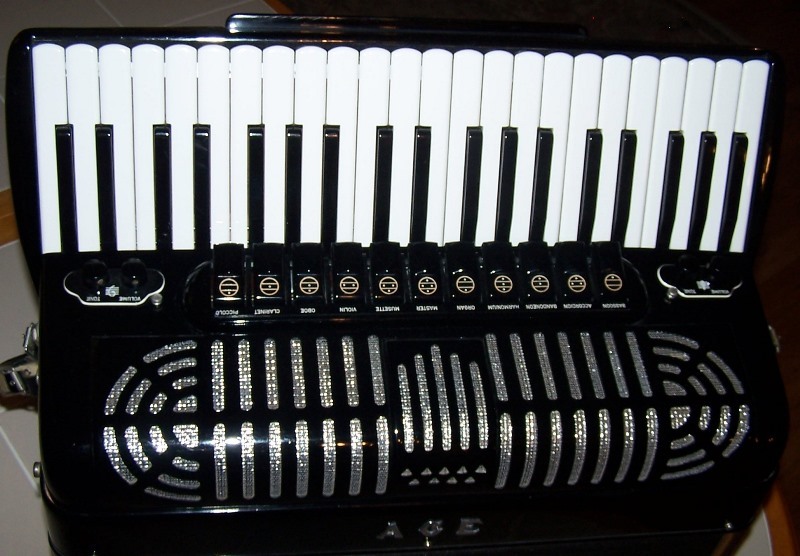 Call 973-770-6877 with any questions or to schedule your visit to the Accordion Gallery where you can try this accordion. You are going to love keyboard action. the years and resonates with the reeds. You can feel the vibrations on your chest as you play the accordion. was designed and can be found only on the Super VI and some high-end Titano models.